1. Have you ever thought about why you need “another Comforter”? How comfortable is your life, and in that comfort, how much do you really “need” God? 2. How loud is the volume of life around you? Is it a distraction to you? If so, how can that be changed? When was the last time you sat quietly with nothing around to distract you? What was that like? 16 But I say, walk by the Spirit, and you will not gratify the desires of the flesh. 17 For the desires of the flesh are against the Spirit, and the desires of the Spirit are against the flesh, for these are opposed to each other, to keep you from doing the things you want to do. 18 But if you are led by the Spirit, you are not under the law. 19 Now the works of the flesh are evident: sexual immorality, impurity, sensuality, 20 idolatry, sorcery, enmity, strife, jealousy, fits of anger, rivalries, dissensions, divisions, 21 envy,[d] drunkenness, orgies, and things like these. I warn you, as I warned you before, that those who do such things will not inherit the kingdom of God. 22 But the fruit of the Spirit is love, joy, peace, patience, kindness, goodness, faithfulness, 23 gentleness, self-control; against such things there is no law. 24 And those who belong to Christ Jesus have crucified the flesh with its passions and desires. As you read chapter 4 of Forgotten God, here are some helpful questions to review. 1. 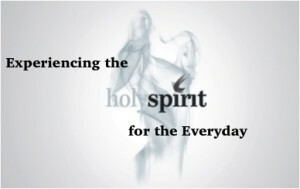 What are some motivations, both god and bad, for wanting the Holy Spirit in your life? 2. What does it mean to you that each follower of Christ is given a “manifestation of the Spirit for the common good”? 3. Do you believe that you were given a “manifestation of the Spirit for the common good”? If so, explain. If not, why not?